MARTECH 2018 call for abstracts IS NOW OPEN! MarTech is an internationally renewed venue for dissemination of marine technology research since 2008. The main objective of this Workshop is to share information and points of view on cutting-edge research in several fields of Marine Technology. 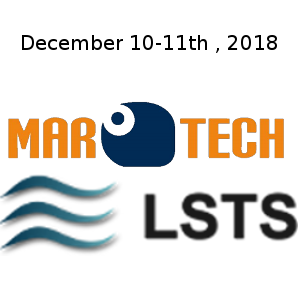 MarTech 2018 will take place at Faculdade de Engenharia da Universidade do Porto, hosted by Laboratório de Sistemas e Tecnologias Subaquáticas, December 10-11th , 2018. Authors of accepted abstracts must register for the Workshop.